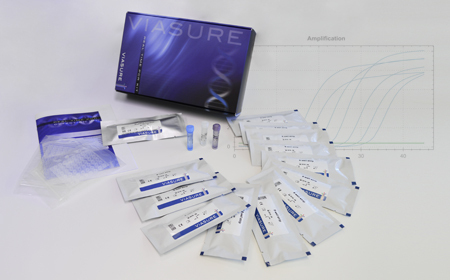 The new VIASURE Flu Typing I Real Time PCR Detection Kit is designed for the specific identification and differentiation of Influenza A (H1N1)pdm09 and H3N2 subtypes in respiratory samples from patients with signs and symptoms of respiratory infection. Influenza virus is an enveloped, single stranded RNA virus that belongs to the Orthomyxoviridae family and causes the majority of viral lower respiratory tract infections. Influenza A and B are a significant cause of morbidity and mortality worldwide, considering that elderly and compromised individuals are especially at risk of developing severe illness and complications such as pneumonia. People feel some or all of these symptoms: fever or feeling feverish/chills, cough, sore throat, nasal stuffiness and discharge, myalgia, headaches, and anorexia. The influenza viruses can be spread from person to person in two different ways: through the air (large droplets and aerosols from sneezing and coughing), and by direct or indirect contact. More info thorught the product page.